How Do I Remove Myself From A Messenger Group? My friend adds me on messenger group chat, but I don’t like the topic. How do I remove myself from a messenger group? Answer: To do it, you should go to the group you have been added and start the process. How do I remove myself from a messenger group using iPhone? > Just open the group conversation in a messenger. > You should hit the names of the people in the chat at the top. > Then Scroll down and tap the Leave Group button. 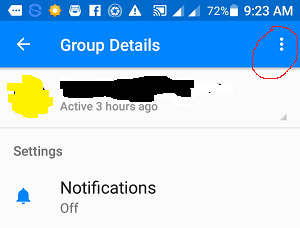 How to leave a group on messenger android? > Just open the messenger group discussion. > Tap the "i" sign at the top right side of the screen. > Tap the 3 dots at the top right side of the screen. > Then tap Leave group. How to leave a messenger group without them knowing? 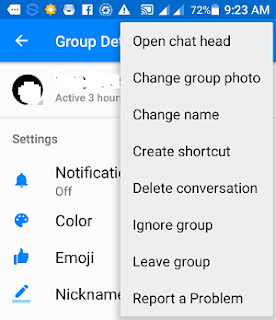 I think there is no option to leave a messenger group without them knowing, Facebook not giving it the option. 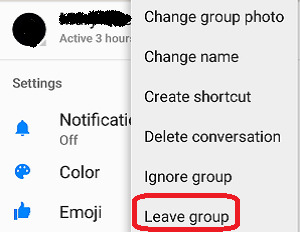 If you leave the group, then all members will know that you are leaving, if they are online at the time you are leaving. I hope this will help you to leave the messenger group that you don’t like to stay. 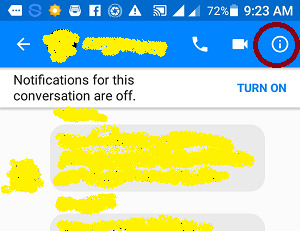 You can also optionally mute the conversation, if you want to remain in the group without annoying notification. If you have any concern about it, just leave a comment below. Learn On How: How Do I Remove Myself From A Messenger Group?